Be encouraged by this week’s gospel message that will cause you to realize how greatly blessed, highly favored, and deeply loved you are by your Heavenly Father. Calvary’s NEW AND IMPROVED APP IS HERE! Get the latest push notifications, livestream services, watch archived messages, connect and sign up for events, and give easier than ever before! Download the NEW APP at the APP STORE or GOOGLE PLAY by clicking the buttons below or searching CALVARYCHURCHCC on either digital store. The relentless, unwavering grace of God is staggering. It blows up your misunderstanding, your false pride, and your secret fears. 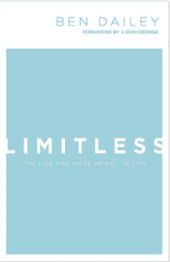 In “Limitless,” Ben Dailey reminds you that when you focus on God’s grace, His amazing love will destroy your fears. 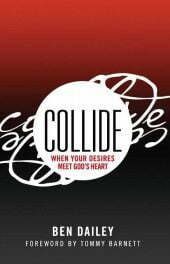 You’ll learn to accept that despite the cataclysmic disruption caused by sin, God has never given up on you. Through Limitless, you’ll remember that you don’t need to earn His love through duty nor do you need to try and prove yourself. Simply receive it, bask in it, and let it change you from the inside out. Allow Jesus to fill your heart with an ocean of His love, forgiveness, and acceptance. Calvary Worship aims to write and record songs that share the Gospel in a way that has never been done before through song. This is new covenant language merged with current and relevant music that can be sung in churches around the world.